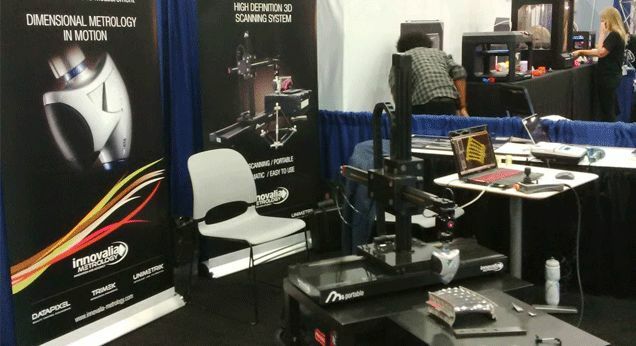 Innovalia Metrology had a booth in the exhibition hall of Rapid Prototyping, held in Detroit from 9th to 12th of June. Rapid Prototyping brought together the most innovative products and solutions for 3D printing, 3D scanning, and additive manufacturing. At Innovalia Metrology booth, was presented the innovative high definition 3D scanning system M3 portable, equipped with M3 platform (Multisensor Massive Measurement), perfect to optimize the measurement processes management reliably and efficiently.